This entry was posted on October 13, 2010 by iheartfilm. 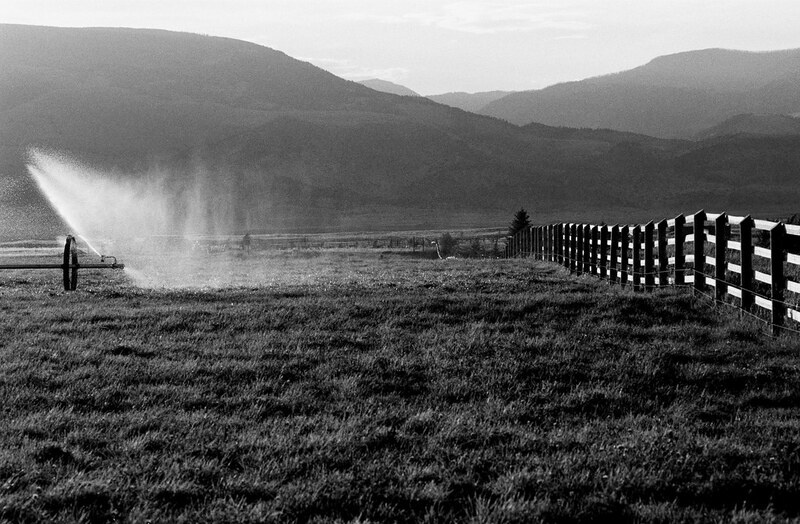 It was filed under Black and White, Ilford Delta 400, Landscape and was tagged with Black and White, film, Ilford Delta 400, Landscape, montana, mountains, nikon f100, noritsu koki, paradise valley, photography, sprinklers. I don’t know what it is with your Montana pictures, but I love them all. I think it might have to do with the way you’ve caught the light there…something really grabs me, I just don’t know what that something is. great contrast, got me thinking of Joni Mitchel for some reason! The light in the fence, the unusual composition and the mountains in the background are fantastic. The contrast is the right one and it is so full of detail. Excellent work. I love the Montana photos, too…gorgeous light. you take very good pictures! It makes me want to go see Montana! I love Montana. So beautiful!